We make a living by what we earn, but a life by what we give. Does our identity in life come from the amount of “stuff” we have? Have we been sold a lie that tells us we are who we are because of what we have? What happens if what we have is removed? Then who are we? We have a few choices to make. Can a person find value in their “stuff”? Yes one can, but what does that value look like when placed under the microscope of eternity? Our value doesn’t necessarily come from the duration of our life but our contribution. What have you and I contributed to the Kingdom of YHVH? Unfortunately many people are concerned about growing old instead of how they can be most effective. 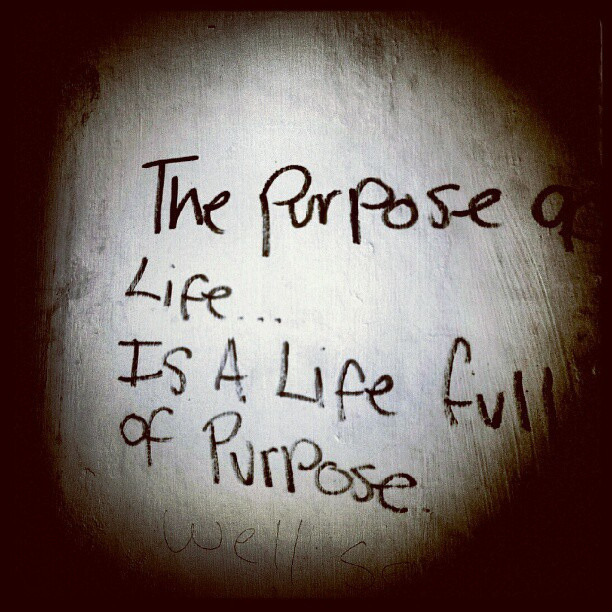 When we have a purpose for our life, it disciplines our lives and chooses our habits. In other words, our purpose gives meaning (value) to our lives, and we go to extreme efforts in order to guard that purpose. It is in this moment when we encounter our identity, and realize why we were placed on this ball of dirt. Please help us spread the word about the work! The mission that YHVH has delivered to Crucified Life Ministries is to impact and influence people in the area of recognizing, understanding, and achieving their vision. The vision that Yahweh has assigned to Crucified Life Ministries is to provide an international training platform that trains, equips, prepares, raises up, and releases spiritual sons and daughters to be fellow laborers in the harvest by giving them the proper tools and hands on experience that empowers them to fulfill the call and purpose that the God of Israel has specifically given to them. Our passion comes from the purpose to generate in others a burning desire to follow the Creator of the Universe, His Scriptures, and His son Y’shua the Messiah, a burning desire for missions, and a burning desire to see people progress from being a follower to being the leader they were created to be. The destiny of Crucified Life Ministries is to establish networks of believers who can reproduce and duplicate themselves, ultimately raising up generation after generation of believers in Y’shua the Messiah trained and sent out to positively influence humanity, to positively contribute to the transformation of their generation, to positively influence their family, to positively influence their religious and local communities, and to positively influence their nation. clm on Are we Learning the Lesson?